You are very welcome to B&B exclusive car care, your partner for professional car care for your vehicle. Our professional service teams let your car shine in new splendor. Regardless of the kind of damage we will give you full satisfaction. 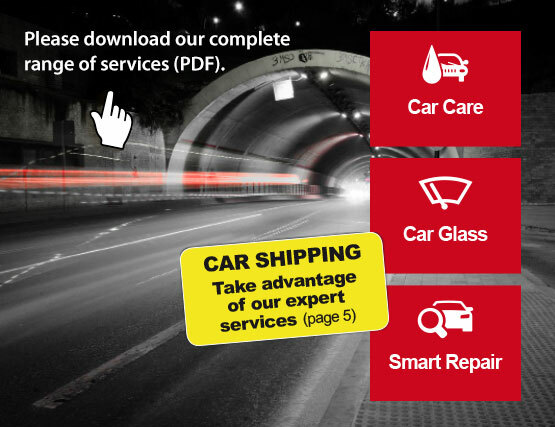 We would be pleased to assist you and help you to find the right car care package specially for you and your vehicle. Explore the world of shiny cars on our website and contact us by mail info@exclusive-carcare.de or call 09602 – 944 28 66. B&B exclusive car care in Altenstadt has been fully aware of the perfect car care prescribed. At over 1.500 m², the vehicles are cleaned, maintained, polished, waxed and much more. The large customer car park with roofing option provides plenty of space for already prepared vehicles. We look forward to your visit! All-in-one: B&B sees itself as a full-service-provider. Everything from one source. From interior-car-cleans over exterior cleaning up to smart-repair and car glass exchange, all services around your car are provided. Appointment arrangements: On-schedule and professional car cleaning are top priorities to us. We return your car always to the agreed date and can rely to appointment arrangements. Materials: We solely use high quality care products, of whose quality we’re 100% convinced and thus guarantee a perfect result in terms of cleanliness. Quality management: All vehicles leaving our company area are undergoing a strict quality control. For improving work flow, the quality control is constantly enhanced and renewed. Employees: Continuous staff training ensures up-to-date expertise concerning care and repair of your vehicles. Insurance: We ensure security while picking up and returning your car as well as for the time your car is parked at our company site. The vehicles are insured against vandalism, theft, natural disasters and alike. Environment: We’re aware of our responsibility. Hence we responsibly deal with resources, i.e. proper disposal of contaminated waste. We are only a stone’s throw away from Grafenwöhr (15 miles) and Vilseck (24 miles)! WE ACCEPT DOLLARS (daily exchange rate for all quotations).